Here’s the most useful writing skills guide this side of Malcolm Forbes. Why will it get you hired? Because it does more than list the best 160 skills for writing. It shows how to put them on a resume. You can’t say, I’m great at writing. You have to list the exact skills the employer wants. Then prove it with achievements. A great list of writing skills for various jobs. Writing tips for how to improve writing skills. The importance of writing skills on a resume. How to prove your writing skills so employers want to call you. There isn’t just one skill for writing on the planet. Start with the list of 24 types of writing skills below. Each is packed with skills for jobs for writers and non-writers alike. Scroll below the writing skills list. Basic Writing Skills. Grammar, punctuation, spelling, vocabulary, clarity, brevity, engagement, proofreading, revising. Professional Writing Skills. Note taking, letter writing, email writing, MS Office, business writing, written communication skills. Business Writing Skills. Report writing, business case writing, press release writing, newsletter writing, analysis, research, content management. Technical Writing Skills. Analysis, planning, data visualization, feedback gathering, preparing documents, product knowledge, research, collaboration. Creative Writing. Writing novels, writing short stories, plotting, worldbuilding, creating characters, writing dialogue, humor, drama, action. College Writing Skills, aka academic writing skills. Exposition, persuasion, description, narration, essay writing, thesis writing, creative writing. Foreign Language Writing Skills. Spanish, French, German, Chinese, Japanese, foreign business writing, fluency. Copywriter Skills. Content writing, blog writing, SEO, sales writing, research, marketing, empathy, product knowledge. Content Writing. Research, SEO, focus, meeting deadlines, editing, proofreading, engagement, adaptability, organization, communication. Grant Writing Skills. Organization, persuasion, research, persistence, empathy, subject knowledge, creativity, attention to detail, storytelling. Emails Writing Skills. Business emails, mail-merges, sales emails, folders, rules, filters, brevity, precision, proofreading, manners, consistency. Blog Writing. Focus, brevity, simplicity, engagement, research, strong work ethic. Report Writing. Sourcing, research, analysis, data visualization, interviewing, data management, MS Office, summarizing. Media Writing. SEO, AP Style, grammar, punctuation, accuracy, clarity, objectivity, sourcing, interviewing, research, digital media writing, news writing. Magazine Writing. Pitching, writing ledes, research, interviewing, outreach, structure, storytelling, writing heads and subheads, networking, feature writing. Journalism. Interviewing, research, special knowledge, meeting deadlines, social media, sourcing, outreach, revising, analyzing, fact-checking. Collaborative Writing Skills. Collaboration, Google Docs, Trello, Jira, MS Word, teamwork, editing. Business Storytelling. Branding, sales, positivity, brevity, detail oriented, empathy, engagement, research, networking. Proposal Writing. Development, empathy, organization, communication, basic writing, business writing. Social Media Writing. Facebook, Twitter, LinkedIn, accuracy, engagement, adaptability, humor, detail-oriented, writing calls-to-action. Presentation Writing. PowerPoint, creativity, brevity, public speaking, sales. Writing Computer Skills. MS Office, MS Word, Excel, PowerPoint, Google Docs, Content Management Systems, WordPress. The skills above are hard skills, a.k.a. writing technical skills. But professional writers need other qualities too. How do you show writing skills on a resume to grab the interview? Pro Tip: Don’t list all the writer skills in this guide on your resume. Unless you’re specifically after jobs for writers, just pick the one or two in the job ad. Wow. This applicant has what we need. Your resume should get that response. But there’s a trick to it. First, tailor your resume by picking the writer skills shown in the job ad. Those are the ones the employer cares about. Prove them with achievements and numbers. Which skills for writing did the job posting ask for? Those are the ones you need to prove. Used Google Docs to create 300+ long-form blog posts. Collaborated with editors on 3 drafts of each. Used high-level SEO skills to do keyword research for 700+ articles. Grew traffic from 0 to 600,000 readers a month in 18 months. Built 500+ articles in WordPress, including all metadata, charts, tables, and 5–10 images per article. You’ve listed the perfect skills in a way employers can believe. You’re so good you could write documentation for the Falcon 9. But you won’t land technical writing jobs if you don’t strut your stuff. Job ad says: technical writing, product knowledge. Used technical writing skills to produce 50+ executive-level briefings per year. Commended 5x by management for brevity and accuracy. Created documentation for 153 software solutions. Used in-depth product knowledge to save 5 hours per week for engineers. Just need to prove you can put pen to paper well enough to muddle through? You could take an English proficiency test and list the results on your resume. Job ad says: Revising, proofreading. Revised 150+ business documents, including company reports and newsletters. Proofread 200+ MS Word documents for accuracy with 99.9% error-free results. Does that fat job want business writing skills? You’ll need to prove them, but first make sure you’re proving the right skills. Job ad says: Report writing, newsletter writing. Wrote 50+ business reports, including monthly and annual reports, business intelligence reports, and project reports. Wrote weekly newsletter for 2 years with 5,000+ readers. 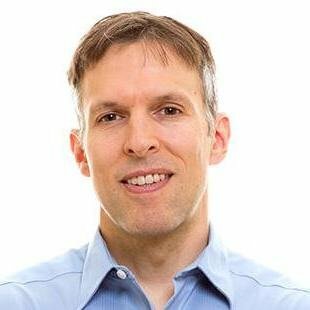 Gained 2,000+ subscribers for company website. What’s the difference between business and professional writing skills? Not much. Job ad says: MS Word, email writing. Used MS Word’s commenting and tracking features to collaborate with 20 team members on company reports. Leveraged Outlook’s email folders, tasks, and rules to save 2+ hours per week. Five co-workers adopted the system to save time in their schedules. Do you need to prove essential writing skills for college and beyond? Try to find the specific skills they want. Then, list accomplishments that prove you’re up to speed. College wants: Essay writing skills, creative writing. Wrote four creative science fiction stories and sold them to national markets. Looking for creative writing jobs? Just Google “creative writing jobs” + [location] or [remote]. Need more tips? See our Google job search guide. Grant writing skills are vital to nonprofits and private companies. Have you got more proposal writer skills than the United Way? Scan the job description for specific skills for grant writing. Then show when you used them to help in a big way. Job ad says: Grant writing, storytelling. Wrote 17 grants with a 70% success rate. Secured a total of $145,000 for the organization. Used storytelling skills to show the organization’s need. 95% of the officials who approved our grants said they were moved by our story. Everyone can write emails. But does your dream job need something extraordinary? Check the job ad for the precise email writing skills the manager wants. Then show how you used them in past roles. Job ad says: Mail merges, business emails. Created monthly newsletter mail merges with MS Outlook and MS Access that reached 30,000 customers per month. Answered and wrote 30+ business emails per day to clients. Used sales email skills to build 35 new customer relationships. Need a synonym for writing skills? Up next, a list of writing tips to improve writing skills fast. Pro Tip: Spelling and punctuation in a resume must be flawless. Nothing says, “I’m not a good writer” like sloppy resume writing—this is one of the worst resume mistakes. You have a hard time writing See Jane run? Write and read often. Writing with skill takes practice. Find someone to give feedback on your writing. Reread writing you like and imitate it. Revise your writing when you’re done—even if you’re tired of it. Write your first draft fast. Then go back and fix it. Cut everything that isn’t 100% necessary from your writing. Do your research. The biggest source of block is not knowing what to say. If those writing tips don’t go far enough, consider taking classes. Creative Writing. Stanford University has dozens of online creative writing classes. They hit the basics, writing mysteries and everything between. Copywriting. Copyblogger.com recommends AWAI’s copywriter skills class. That’s good enough for us. Pro Tip: Don’t want to shell out for writing skills classes? Pay a visit to the University of YouTube. They’ve got tons of free writing lessons to improve your skill set quickly. Review the many types of writing skills. Read the job ad like it’s a real page-turner. Highlight the skills you see. List skills for writing in your resume, then prove them with achievements. To improve writing skills, read and write more, outline, revise, and cut, cut, cut. Have more questions about how to improve writing skills? 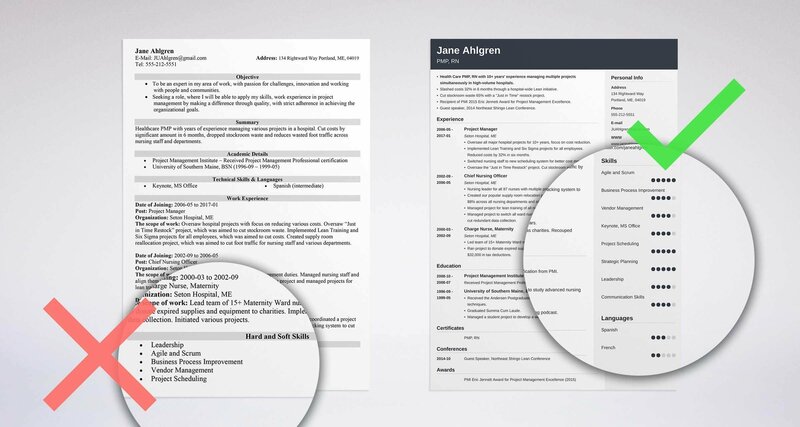 Still not sure how to put skills for writing on a resume? Give us a shout in the comments! We’d be happy to reply.